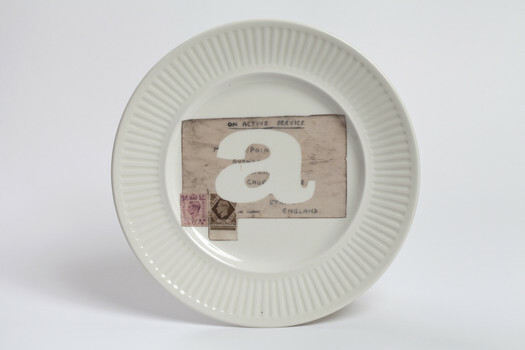 A collection of 'upcycled' Staffordshire dinner plates, transfer-printed with official wartime documents and postcards sourced from the Staffordshire museum consortium’s archives and collections. Individual letters have been cut out of the prints, to create an ‘alphabet of absence’. The alphabet was used to spell out different evocative texts at each of the touring venues.